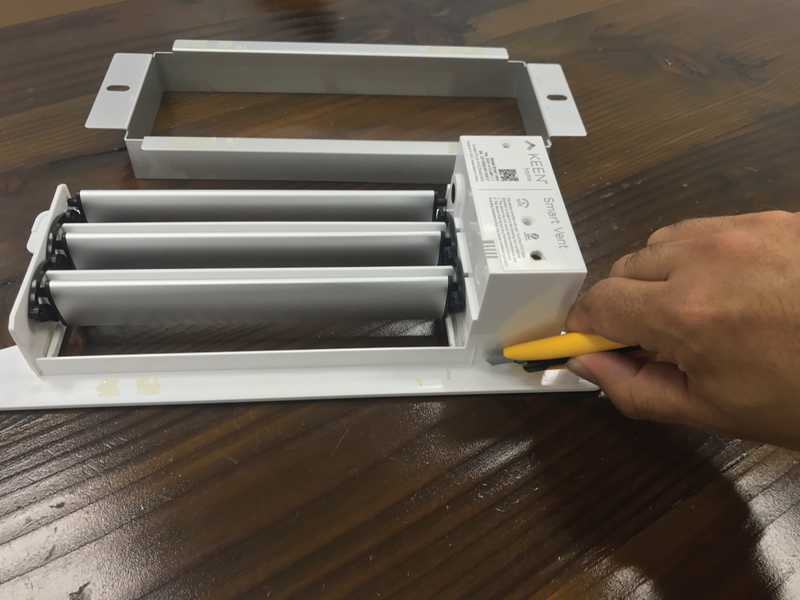 Trim the Smart Vent to sit flush in a floor register - compatible with custom faceplates. Many users have custom floor register covers. 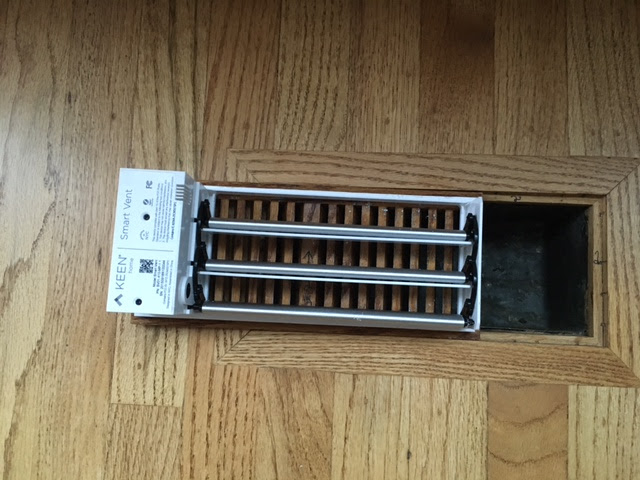 These vents are usually cut into the floors and made of a wood material that matches their floors. 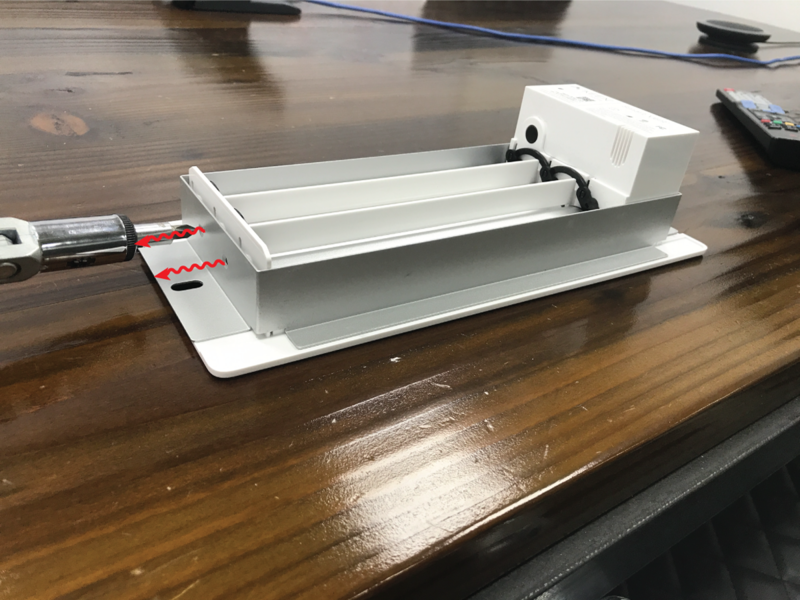 In many cases, it is possible to continue to use your existing custom floor register covers with your Keen Home Smart Vents. 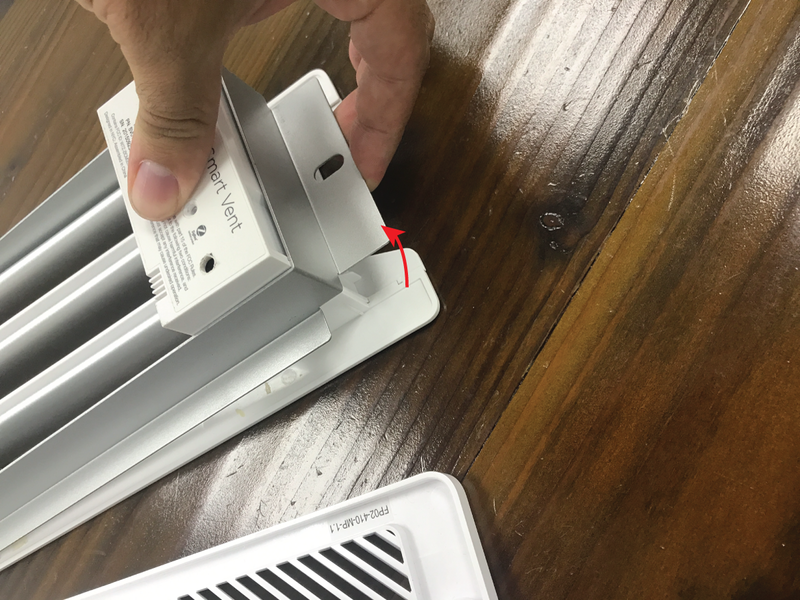 Since Smart Vent faceplates are removable, in some cases, you simply need to remove the magnetic Smart Vent cover and replace it with your custom register cover. However, sometimes customization is necessary. 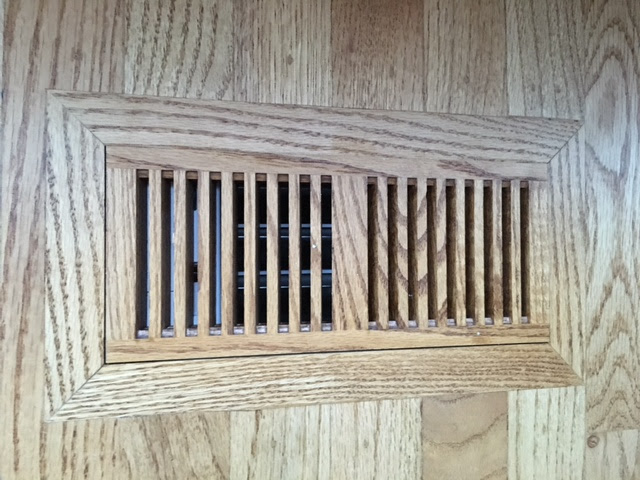 The cutout in your floor may be too narrow for the flange around the Smart Vent. In this case, you may have to modify the Smart Vent for it to fit. 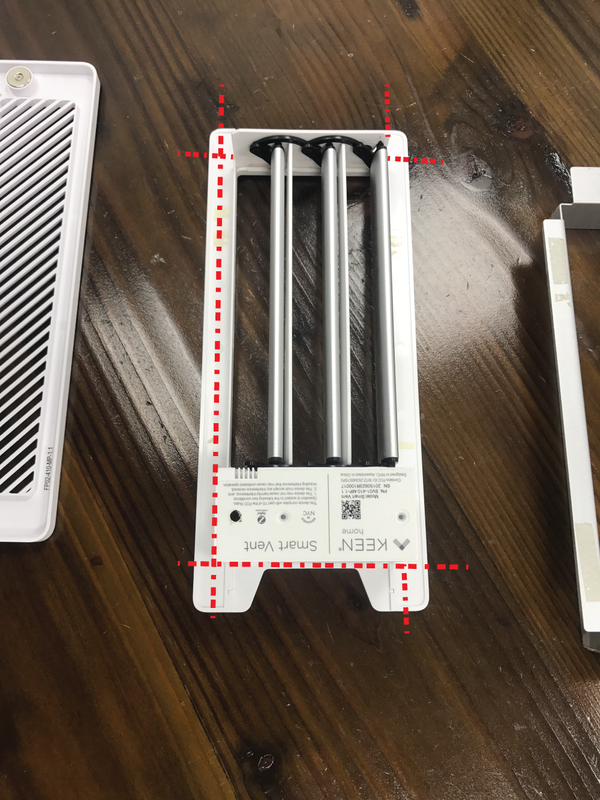 Certain models have screws on the short edge. Unscrew these two screws. Press the plastic vent down and pry the metal flange up at the edge to snap the metal flange away from the plastic body. If you don't have a saw, you can use a standard utility knife to score the plastic flanges along the red lines indicated. Once you've scored the plastic 10+ times, you should be able to snap them off using a pair of pliers.